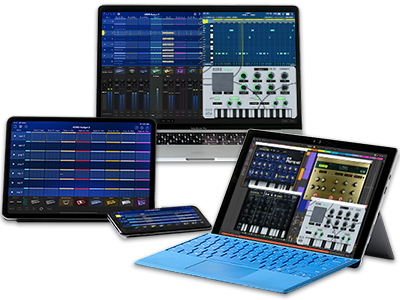 We have released totally new versions of our music-production software with over 30 small synthesizers and drum machines: KORG Gadget for Mac version 1.2.0 and KORG Gadget for iOS version 3.2.0! We've added the New Preset Sounds "Factory 2" to nine gadgets. The newly enriched preset sounds will bring you inspiration to produce music. Enjoy these new fun, musical sounds! ・Added the new preset sounds "Factory 2" to nine gadgets. ・Added the "output channel", where you can set the output location of your audio device. ・Various other adjustments to improve stability and ease of use. * You can update to the latest version from inside the application with the "Check for update..." option. Our special summer sale is on: all our KORG music-production apps and software are available at up to 50% OFF! The sale also applies to software upgrades and items available for in-app purchase. Home News KORG Gadget for Mac / for iOS has been updated with new preset sounds that are ready to go NOW!